Did you know seniors age 60 and above make up over 25% of the Upstate’s population? With South Carolina being recognized as one of the top places to retire in the nation, it is important that the Upstate identify and address issues our aging population may face. 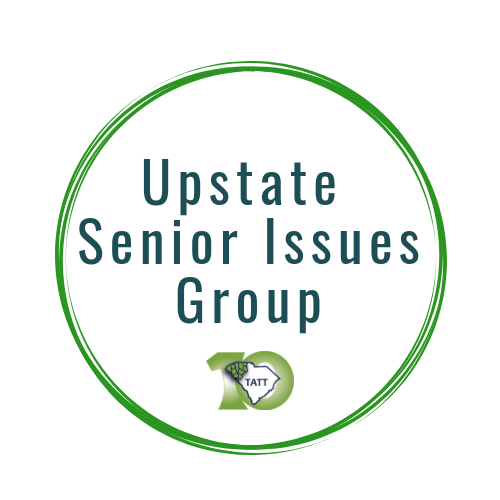 The Senior Issues Group focuses on the well-being of senior citizens in the Upstate. After conducting a Senior Needs Assessment in 2013, it was determined that the three barriers to seniors living to their full potential are: home needs (i.e. repairs, lawn care, etc. ), food, and transportation. The group is looking at ways to address each of these criteria to ensure Upstate seniors all living to their full potential.